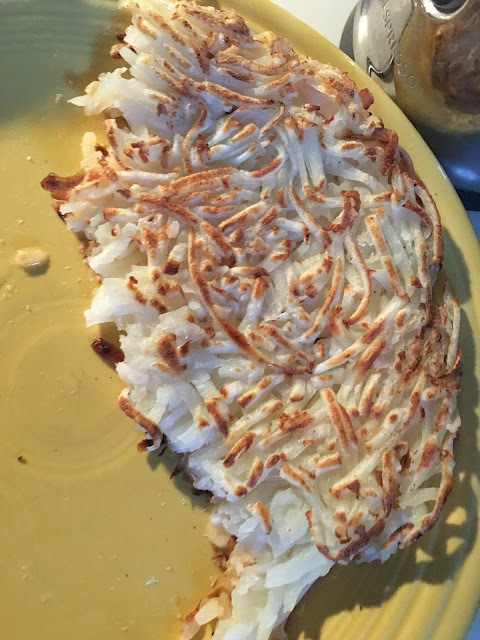 These hash browns are my mother's favorite breakfast item. They came from a bag in the freezer, but tasted great. 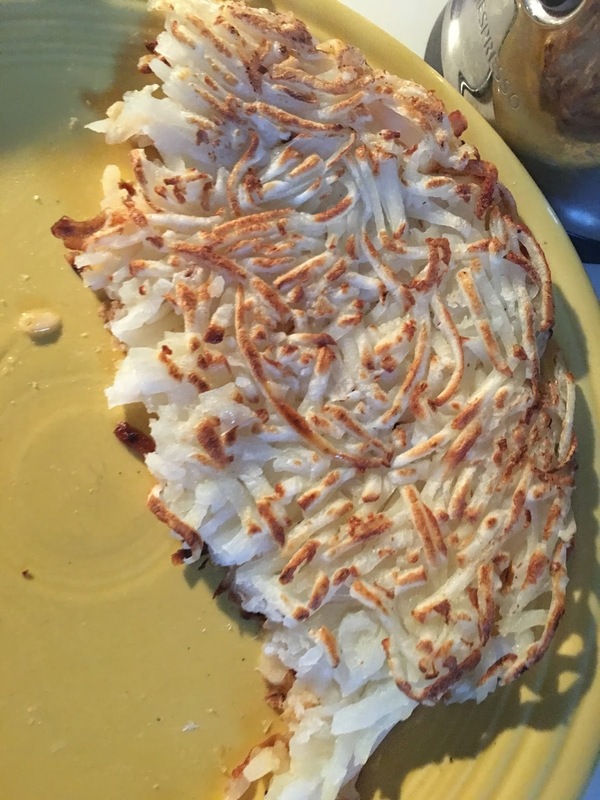 These potatoes taste great with bacon or sausage alongside.